Last year the soon to be open to the public National Comedy Archive announced the gigantic news that they would be the home of the archives of one of comedy’s greatest performers of all time- George Carlin. 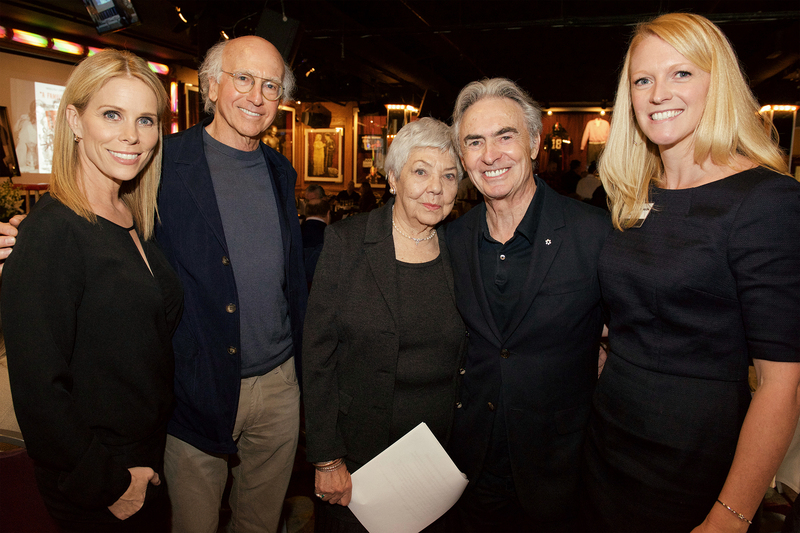 Today the Center revealed that they have acquired a second impressive collection from yet another legend of comedy– Shelly Berman. Berman passed away in September 2017 at the age of 92. The archive was carefully collected and stored in Berman’s home office for seven decades, and spans from the 1940s to the 2010s including hundreds of photographs, contracts, scripts, calendars, scrapbooks, correspondences and rare footage and audio chronicling his wide-ranging career in stand-up, improv, television, film, theater, and comedy writing. 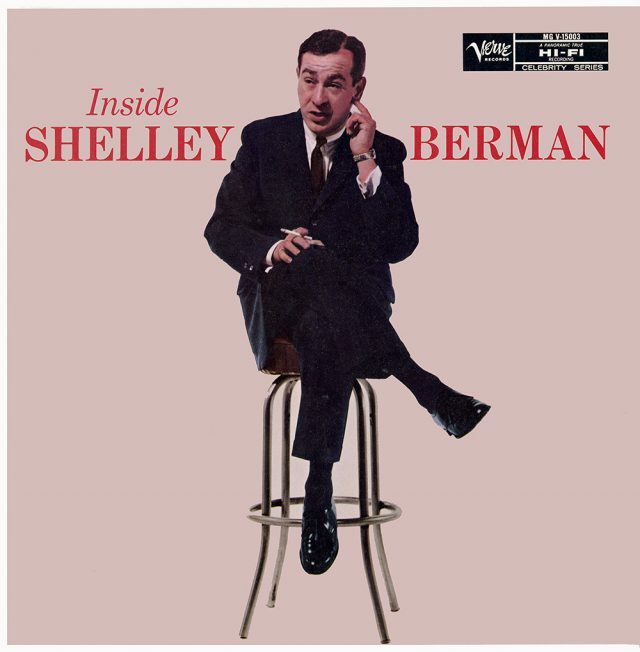 Included in the gift are Berman’s consecutive Gold Records for his two landmark 1959 albums Inside Shelley Berman and Outside Shelley Berman, the first of which was the comedy album first to win a Grammy. Also included is the trademark stool on which he performed his classic routines during live engagements across the country. The donation was formally announced during a tribute attended by Larry David, Dr. Demento, Cheryl Hines, Laraine Newman, Howard Storm, David Steinberg, Fred Willard, and Alan Zweibel, hosted by Lewis Black and presented by the National Comedy Center on Tuesday, January 30th at the Comedy & Magic Club in Hermosa Beach, California. The Berman archive is the latest acquisition for the National Comedy Center, the first non-profit cultural institution and national-scale visitor experience dedicated to the art of comedy, which already houses a number of archival pieces including the 25,000-piece George Carlin collection, donated in 2017. In production now in Lucille Ball’s hometown of Jamestown, New York, the National Comedy Center fulfills Ball’s vision to establish a center that celebrates comedy in all of its forms, educating and engaging visitors with the story of the art form and its artists. “No longer the step child to the arts, comedy and those who make us laugh are about to have their own place in the world. When I found myself surrounded by all of Shelley’s writings, I wondered what to do with all of it. Do I give it to some museum where they let it gather dust before they throw it away? Along came the National Comedy Center, driven by people who have the vision to know that this material and the material of other comedians has a value. They are dedicated to preserving all for their archives and for future generations who may want to know about those who gave us the gift of laughter. I feel confident that all of Shelley’s fine work will be in good hands,” said Sarah Berman, Shelley’s wife of more than 70 years. The National Comedy Center is slated to host its ribbon cutting August 1-4, 2018 during its annual Lucille Ball Comedy Festival.